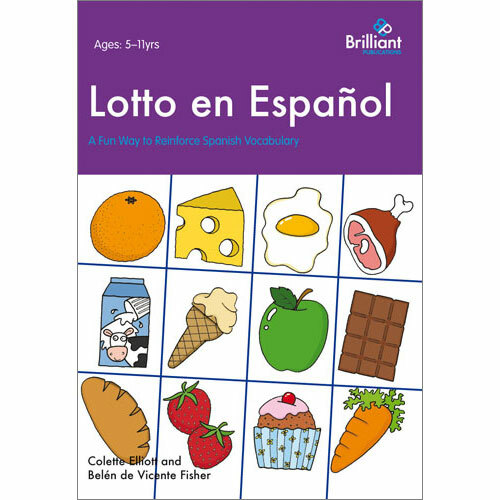 Lotto en Español is a child-friendly and enjoyable way for children to learn Spanish vocabulary. 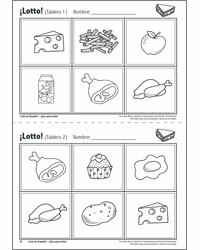 These attractive, easy-to-use, photocopiable lotto boards provide a stimulating and meaningful way to develop reading, listening and speaking skills when teaching popular topics such as numbers, food, animals and clothes. Three versions of each lotto board are provided for each topic: words only, words and pictures, and pictures only - allowing maximum flexibility, particularly in mixed ability classes. Handy call sheets make adminstration easy, allowing you to follow the game closely and to select which team you want to win! 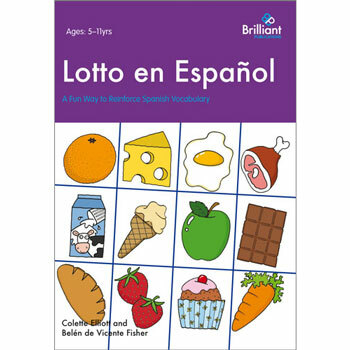 Lotto en Español has been developed for use with children at primary school or early lower secondary school. For use with KS1 / KS2 / KS3 (ages 7 - 12 approx).